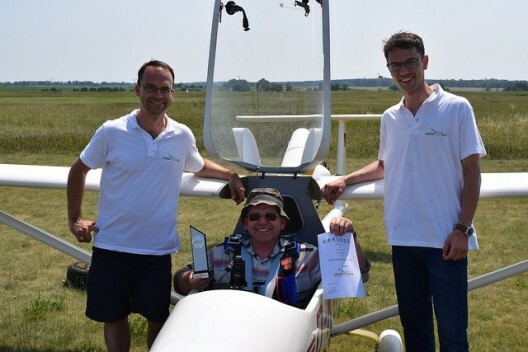 Day three of the Green Speed Cup in Strausberg, Germany brought few surprises other than how fuel efficient all of the aircraft turned out to be, especially considering they are all powered by gasoline engines. Normally, this would demonstrate that even a light machine uses large amounts of fuel, but this contest demonstrated the benefits of good design and careful piloting. 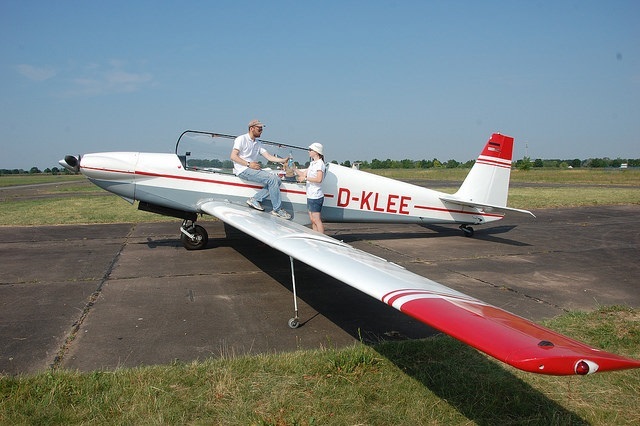 The Akaflieg Darmstadt D39 flown by Holger Massow came in first, winning the last two days outright. 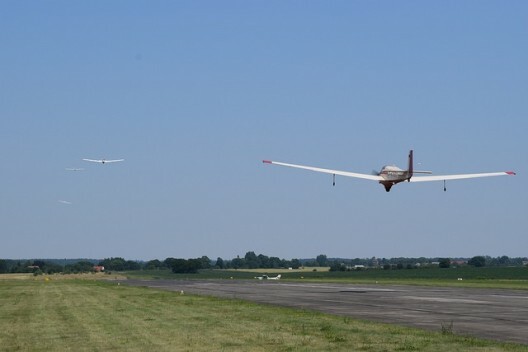 Second went to Hans-Peter Ortwein flying a Stemme SV-10T, and third, perhaps surprisingly, to the only two-stroke powered machine, a Technoflug Piccolo, a fixed-gear, high-wing motorglider with an engine sticking up behind the wing. The Piccolo was flown by Werner Scholz. Two Valentin Taifuns came in fourth and fifth, and a Stemme S6 took sixth place. Two Scheibe SF-25s, a B and C model, took seventh and eighth places respectively. A Fournier RF-5 captured ninth place and another SF-25-C rounded out the field in tenth place. Day one encompassed a 400 kilometer (248 mile) triangle to the north, with light winds and a high pressure area dominating, and no thermals to assist the longer-winged birds. The winning S10 edged out the second place D-39 – but the big surprise came from the third-place Piccolo. 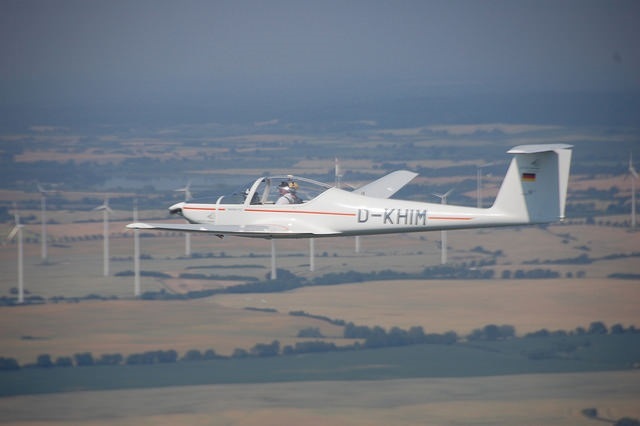 Martin Just guided the winning Stemme around the course at an average 154.2 kilometers per hour (95.6 mph) while consuming 174.5 kilowatt hours and a mere 19.3 liters of fuel, about 5.7 liters per 100 kilometers (62 miles) or 41.3 miles per gallon. That works out to 82.6 passenger miles per gallon – not Green Flight Challenge numbers but more than respectable for a production airplane. Day two went south and west for a 390 kilometer (241.8 miles) task under a near repeat of day one’s weather. Holger Massow piloted the D-39 to first place, Uli Schwenk guided his vintage Taifun to second, and Theo Körner brought his S10VT to third. The little Piccolo kept a game fourth place, burning the same amount of fuel (4.5 liters per 100 kilometers – 51.2 mpg) as the winning D39. Consider what this (or similar) machine(s) could do on economy runs with a four-stroke engine like a Bailey paramotor unit, for which the factory claims a minimum fuel use of 3 to 3.5 liters per hour. Day three was the shortest event, with a 165 kilometer (102.3 mile) triangle touching northerly checkpoints. The D39 had a great day, touring the course in one hour and using only 2.9 liters of fuel per 100 kilometers (81.1 mpg). A few years ago, the Euro standard for fuel economy was the so-called “three-liter” car, one which burned a mere three liters per 100 kilometers. The D39 outdid that goal at a far better speed than most could achieve on most days in traffic. Significantly, the worst fuel consumption was by a 30-year-old motorglider which used 15.7 liters for the task, still a respectable 8.8 liters per 100 kilometers, or 26.7 mpg (53.4 ppmg). By comparison with all the participating aircraft, last year’s winner, e-Genius, managed the equivalent of 1.5 liters per 100 km (156.8 mpg or 313.6 pmpg). 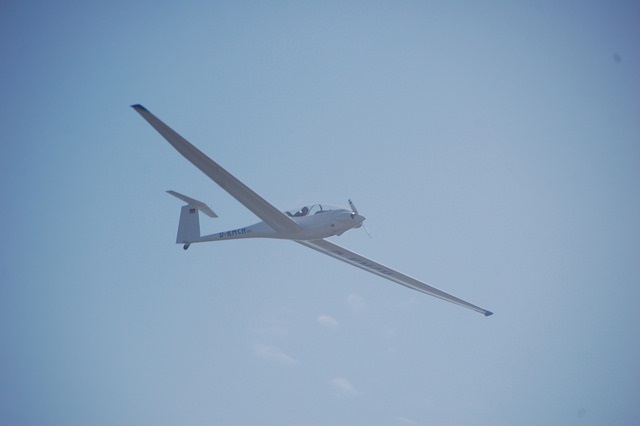 None of the days had significant thermals, lessening the options for motorgliders to increase their scores. All of the aircraft, relatively new or vintage, showed an ability to cruise on small amounts of fuel, a recipe for the future as what Thom Hartmann calls the “last days of ancient sunlight” are depleted. Against bigger adversaries, the little Piccolo punched well above its weight, using its light weight and trim configuration to advantage. It might be interesting to someday field a minimalist field of flying machines for an ultimate economy run. In the meantime, a gaggle of practical aircraft showed what can be done with careful planning and flight execution. With the development of even 2X batteries, many of these machines would be ready for even cleaner and greener flight.